There is no argument of the significance of Nelson Mandela’s life. The celebration of the existence of this single man on a worldwide scale is unbelievable and beautiful. Politicians are remembered in very different ways. Jacob Zuma (President of South Africa) will not be remembered in a similar way because he is South African. Barack Obama will not be remembered in a similar way simply because he was the first Coloured President of the USA. Margaret Thatcher was not remembered in a similar way because she was the first female Prime Minister of the United Kingdom. Julia Gillard has not been remembered in a similar way because she was the first female Prime Minister of Australia. Even though Nelson Mandela was considered a left-wing terrorist in South Africa, he is remembered as a man who relinquished his anger, who grew and forgave. His positive attitude was infectious, and the world needs more of that. 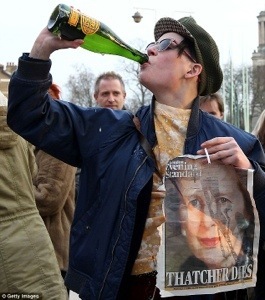 Remember the passing of Margaret Thatcher earlier this year? Charisma is a necessary component to be elected, but does it affect a leader’s capacity to make difficult policy decisions? Is charisma a political tool or a genuine demonstration of passion and dedication? It is all subjective, depending on where you live. No two politicians are the same. It seems, in your author’s humble opinion that Charisma and Policy are separate entities. Politicians are elected based on their policy, or based on their charisma. Barack Obama, for example. Elected on the wave of “Yes we can” campaign in 2008. Charisma. The jewel in his policy crown was Obamacare, healthcare reforms. Policy. Through hostile majorities of Republicans, Obama has struggled to deliver his policies. Which affects his public demeanour, which chips away at his charisma. It is a difficult thing to maintain when faced with political hostility. 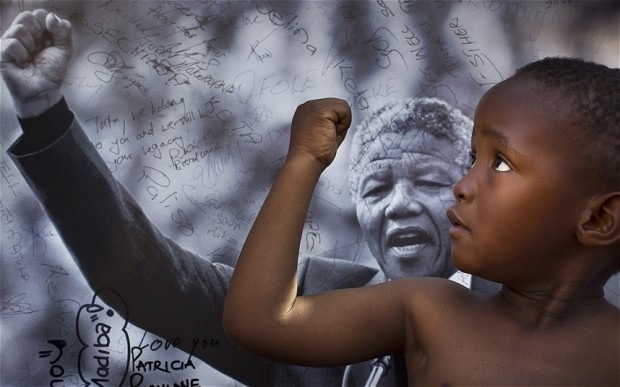 How is Nelson Mandela different? Mandela had a long walk. It was his journey, not his charisma. Years as a freedom fighter, a man who blew up buildings in protest against the Apartheid. 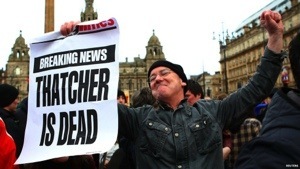 His actions in today’s context would see him labelled a domestic terrorist. He probably killed and maimed people as a result of some of his actions. He was eventually charged with treason and narrowly avoided the death penalty, he was then sent to Robben Island, where he remained for 27 years before being freed in 1990. He was elected in South Africa’s first multi racial elections in 1994, serving until 1999. His collaboration with his predecessor, FW de Klerk to abolish the Apartheid. His forgiveness of his jailers, his torturers and the whole regime which he vehemently opposed, set him apart. He have us a refreshed way of thinking about left wing principles after the Cold War..
One of the key principles of Communism is egalitarianism — equality for men and women, everyone is the same, all people are no longer polarised by gender or skin colour. Stalin, Lenin, Mao and Mandela were very different men, but they enacted the same principles, just in different ways. He perhaps didn’t make any difficult decisions in a policy sense, but he made the difficult choices to forgive and embrace his enemies, and to persist with a cause that had claimed so many lives. He was a sinner that kept on trying. And he changed his country and world. An inspiration to us all; proof that the angriest heart can change. He is proof that the angriest heart can change, and his legacy I hope, will live on!